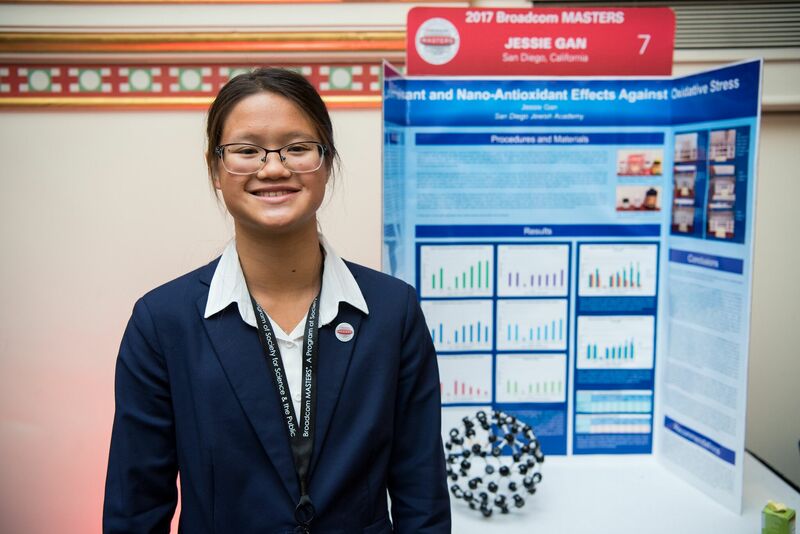 Emily Tianshi, 14, San Diego, CA, won the $20,000 Robert Wood Johnson Foundation Award for Health Advancement, which recognizes the student whose work and performance shows the most promise in health-related fields. A Californian, Emily is concerned about the draught and its effects on our population as well as the environment. 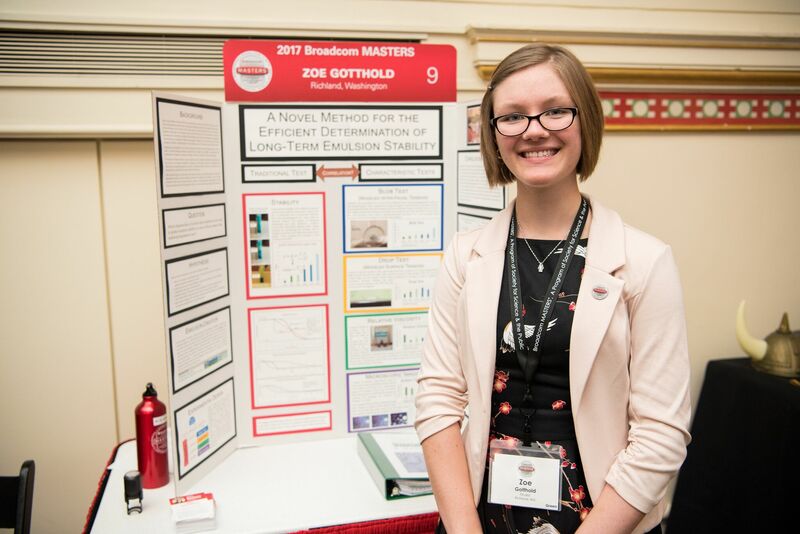 Emily’s project examines Torrey Pine needles – a tree that grows in an area of California that has been having a long draught, but still gets enough water to survive. Emily hopes that by learning more about the pine needles, future technology could mimic the Torrey Pines’ moisture-harvesting mechanism, helping people cope better with droughts. 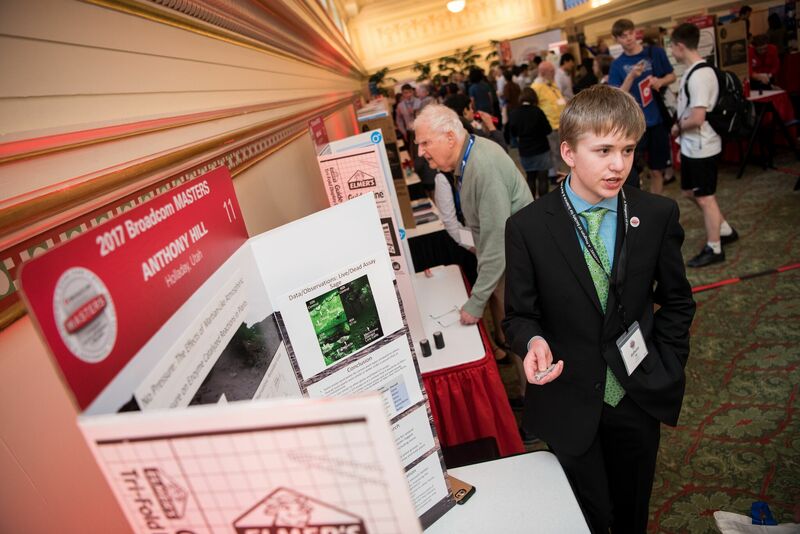 Each of these finalists (first and second-place award winners) were selected for demonstrated skills and promise in each of the disciplines represented by STEM. 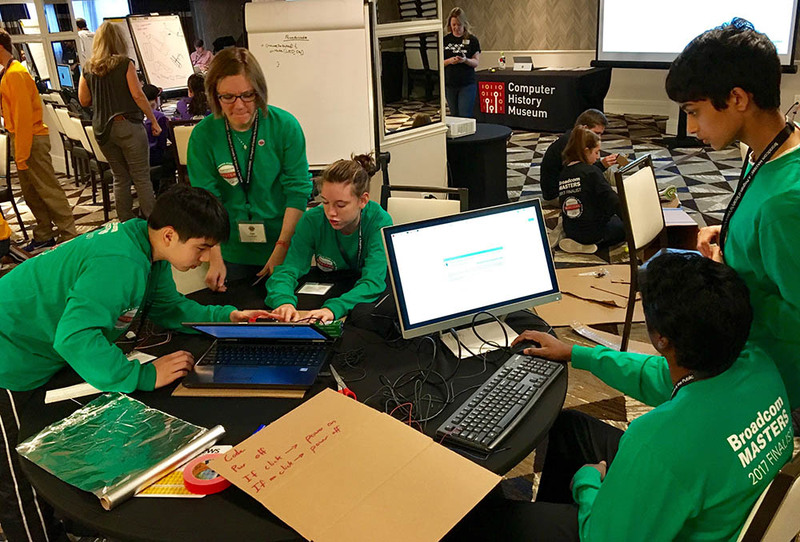 First-place winners are awarded $3,500 and second-place winners receive $2,500, in each case to support the finalist’s choice of STEM summer camp experiences offered around the country. 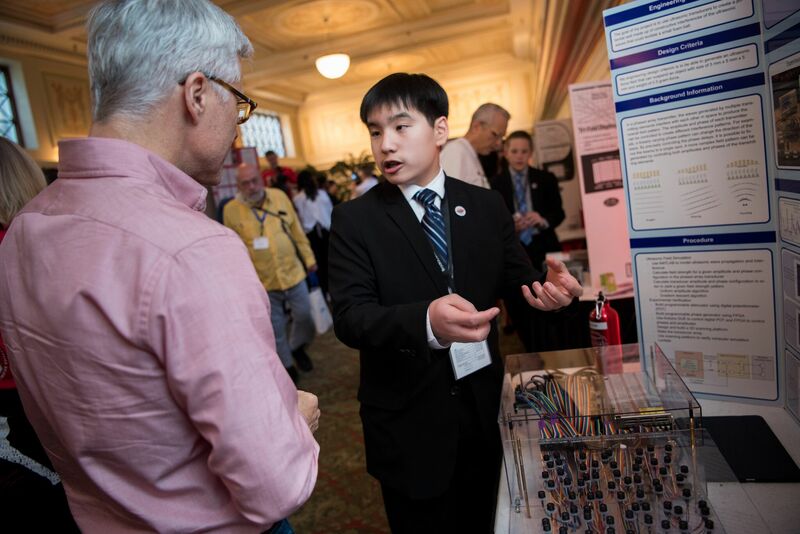 Each STEM winner also wins an iPad®. 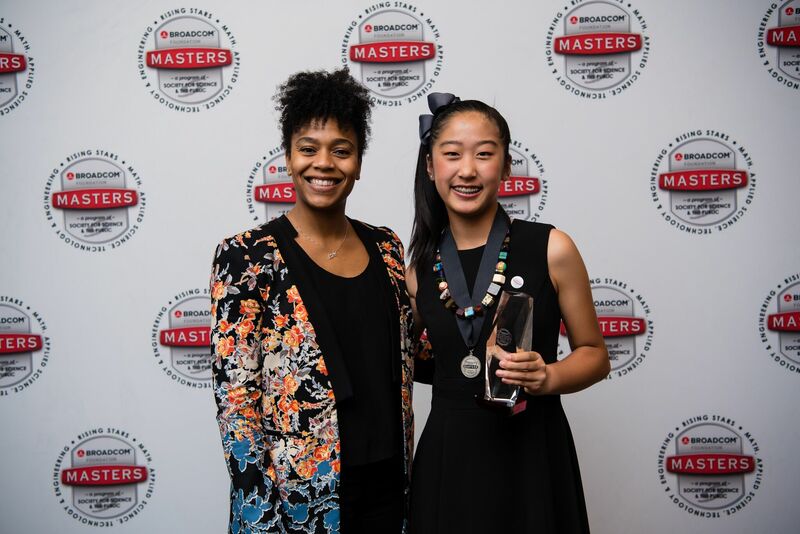 In recognition of their contributions throughout the 2017 Broadcom MASTERS finals, as well as their projects, Mithra Karamchedu of Portland, Oregon, and Regan Williams of Wilmington, NC, will represent the U.S. at the Broadcom MASTERS International and act as Official Observers of the 2018 Intel ISEF the world’s largest international high school science and engineering fair. 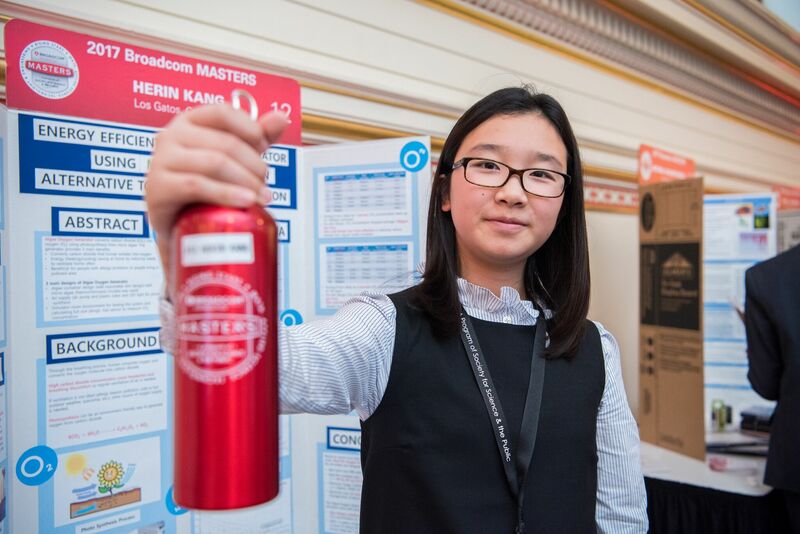 The Broadcom MASTERS Team Award was awarded to the Green Team for demonstrating their ability to work together, solve problems through shared decision-making, communication and scientific and engineering collaboration. Each received an iPod nano®. 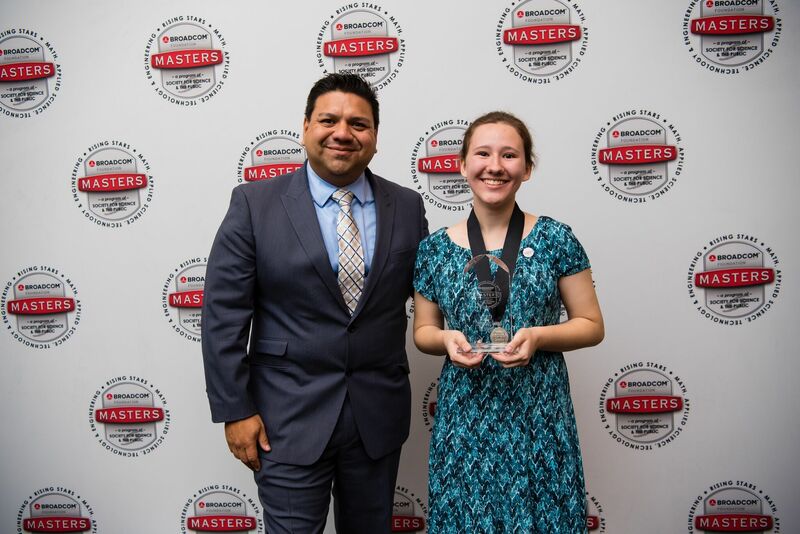 The Scott A. McGregor Leadership Award is presented to the finalist who is elected by his or her peers to represent them as their Broadcom MASTERS Class Speaker. 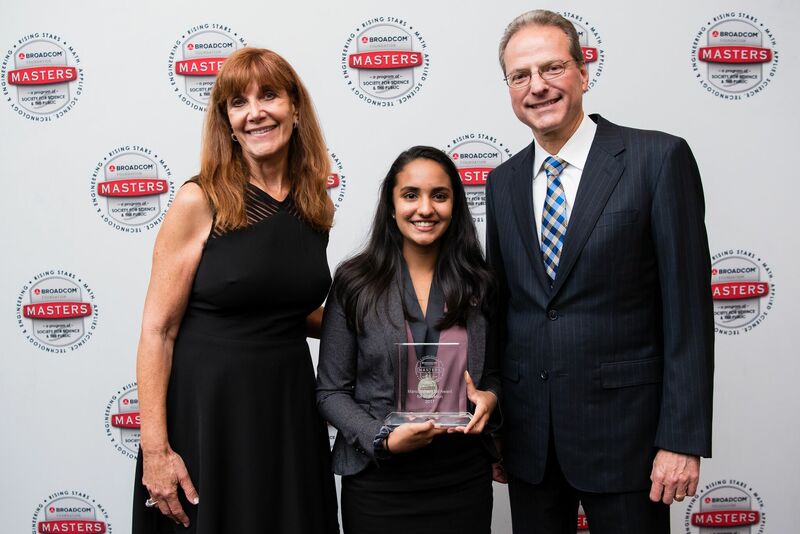 Arjun Moorthy was presented with the Scott A. McGregor Leadership Award for his talent, enthusiasm, collegiality and generosity of a leader. 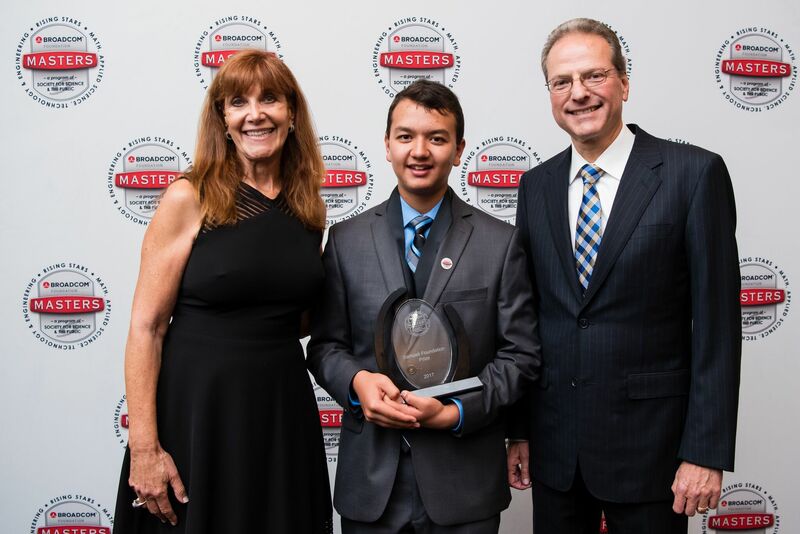 This award honors former Broadcom President and Chief Executive Officer and founding Chairman of the Broadcom Foundation Scott McGregor, who enthusiastically championed the Broadcom MASTERS and is passionate advocate for science fair competition and project-based learning as essential to development of 21st century skills. 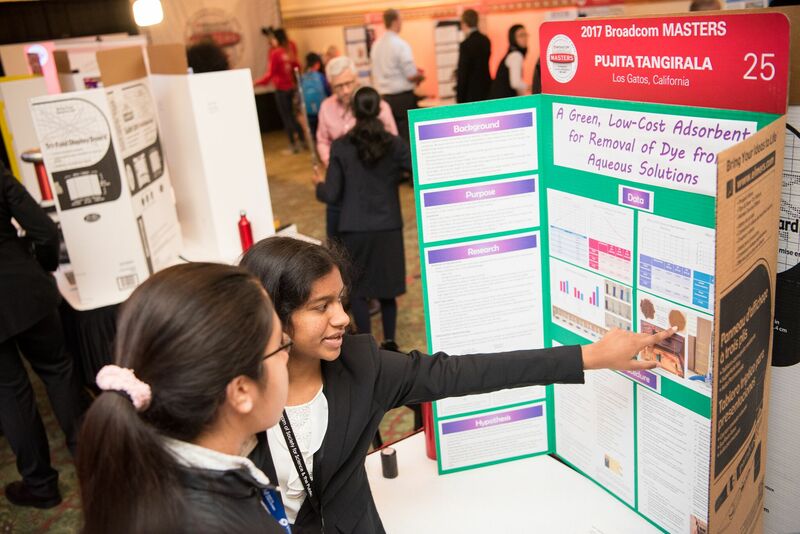 Broadcom Foundation and Society for Science & the Public present the 30 middle school finalists who competed in the seventh annual Broadcom MASTERS® competition. 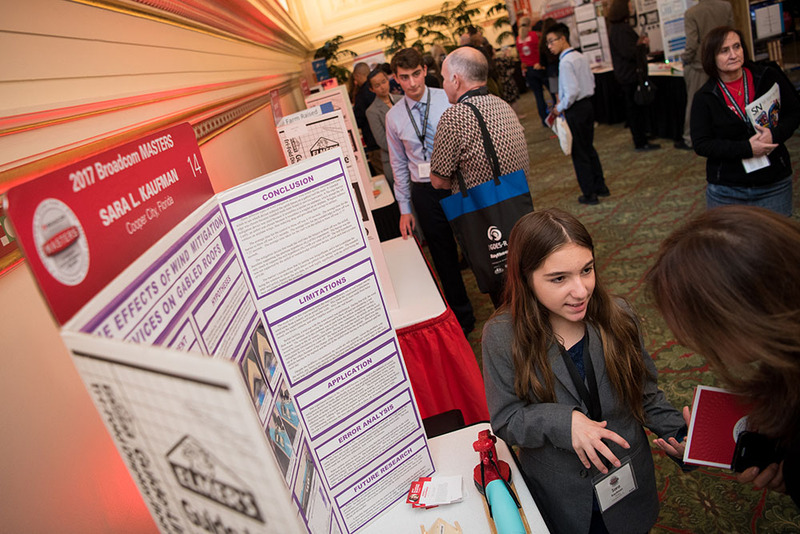 The 15 girls and 15 boys were selected by a panel of distinguished scientists and engineers from 2,499 applicants from 37 states, Puerto Rico and the Department of Defense overseas. 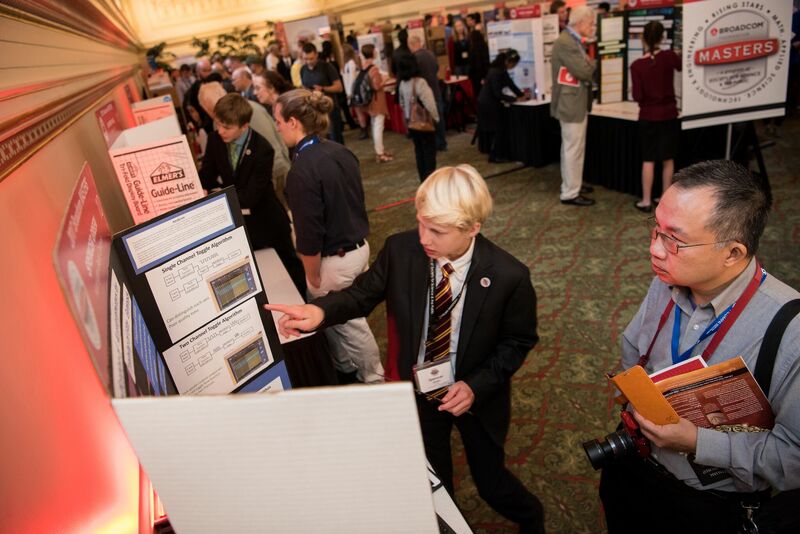 The finalists won an all-expense paid trip to Washington DC and competed for cash and experiential prizes. Winners were announced in October 2017. Robert Kent Chagrin Falls OH Are Microplastic Contaminants More Abundant in Farm Raised or Wild Clams? 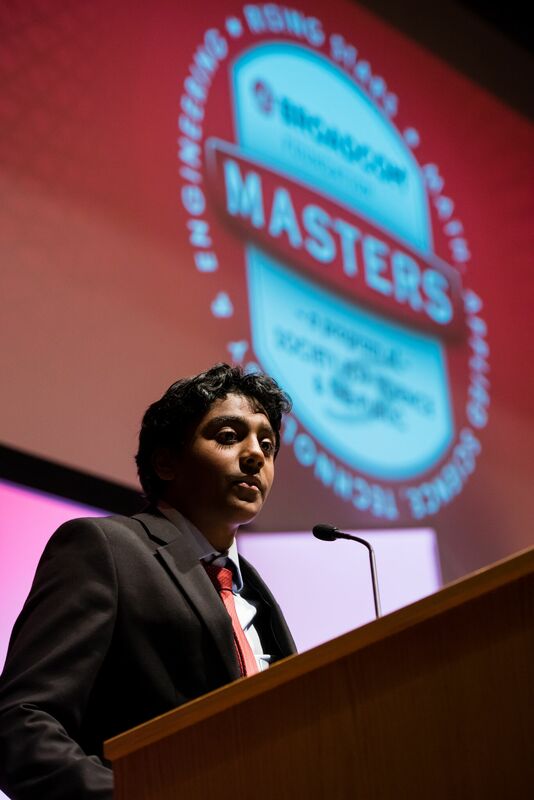 Learn more about the past winners of the Broadcom MASTERS.